Last week Mummy and Daddy decided to make the most of a brief reprieve from the high winds and torrential rain, so threw some things in a bag and loaded me and baby Raife into the car for a surprise trip. 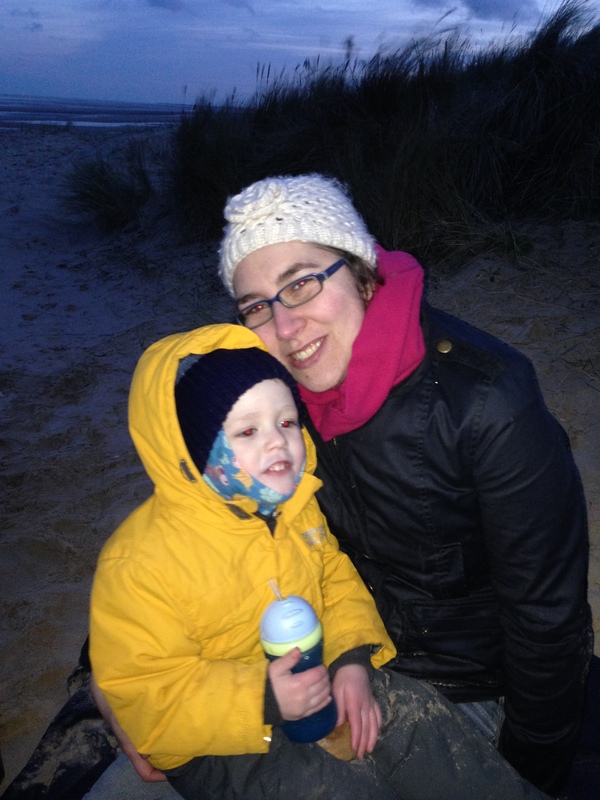 We were breaking out of the house to have a very special family evening on the beach! 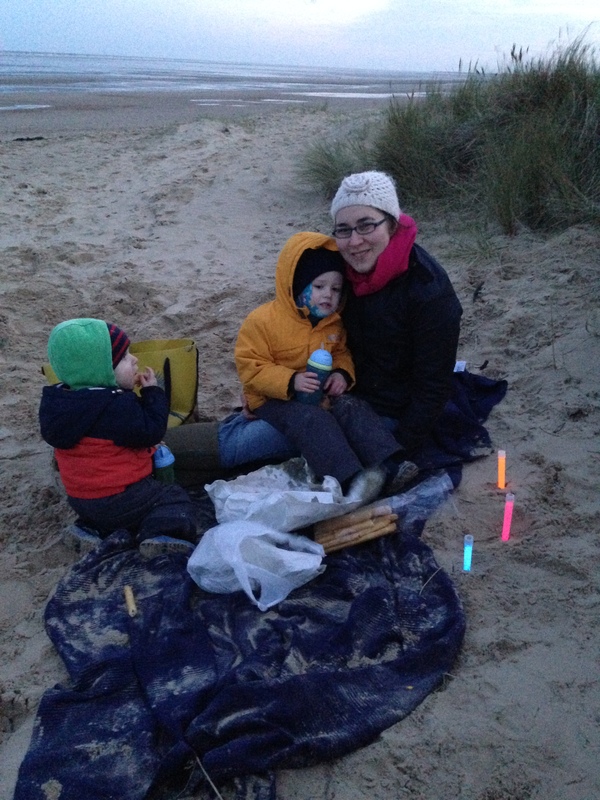 They managed to time it just right to pick up some fish and chips, get into a sheltered position in the dunes and fire up our glow sticks before the sun set and “Mrs Moon” showed up! 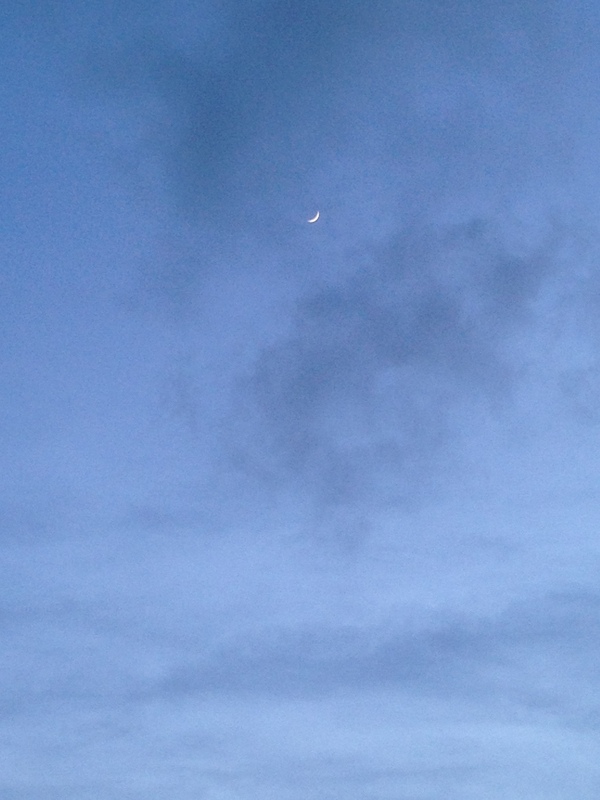 Here Comes Mrs Moon…Nearly Time!!! It was very special and I was so excited to pull off my hat; but I think Mummy and Daddy, like me, didn`t realise what a sensory explosion it would be for me!!! I was desperate to go on a bear hunt in the dunes but I was a little overwhelmed with the sensation of the sea breeze and feeling of sand blowing on my face, and so I cuddled in very close to Mummy.